To create a moment with an animal and have it frozen in time is a skill Mick Doellinger began developing years ago. His sculptures give audiences a glimpse of an animal’s behaviour from the whimsical antics of a donkey to the intense quivering of a dog on point. One not only gets a sense of the emotion in the animal, but also sees a balance between the technical anatomy and the loose texture for which Mick’s work is known. Mick Doellinger has lived in the United States since 2003, but grew up in Australia where he gained many of the skills he uses today in his sculpting. He started sculpting taxidermy manikins in the late 1970’s and gained international industry recognition for physical accuracy and unique artistry. 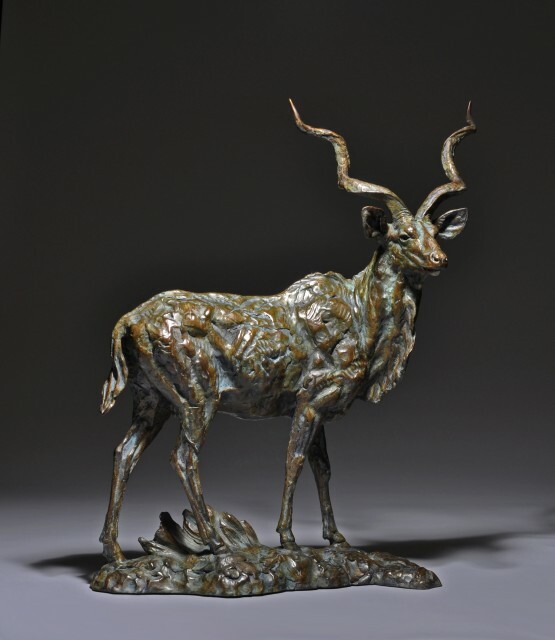 Doellinger melds this working knowledge of anatomy and sculpting with a deep understanding of animal behaviour and psychology that he gleaned from years of guiding and wildlife management in the Australian outback. Mick’s work reflects his fascination with nature and art by blending the two in a tradition that has inspired countless artists through the centuries. For the past 30 years Mick has honed his sculpting skills and developed a style that has not only become his “voice”, but is a reflection of his artistic process.